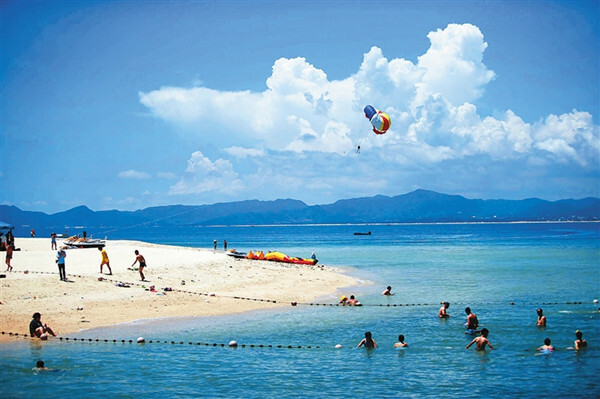 Sanya and Haikou will be among the most popular domestic tourist destinations during the 2015 Spring Festival holiday this year, due to their pleasant climate in winter. Other hot destinations are Xiamen, Guangzhou, Shanghai, Kunming, Qingdao, Harbin, Chengdu and Zhangjiajie. Airline tickets and hotels in these places have seen price hikes ahead of the Spring Festival according to the online travel portal Ctrip.com. According to the statistics, many travelers plan to take medium and short tour packages during the 7-day holiday. Among them, deals made by family travelers account for 70% of the total. Meanwhile, booking statistics from Ctrip.com show that the top 10 outbound tourist destinations are Japan, South Korea, Hong Kong/Macao, Thailand, Maldives, Singapore, Bali Island, Saipan Island, the United States and France.